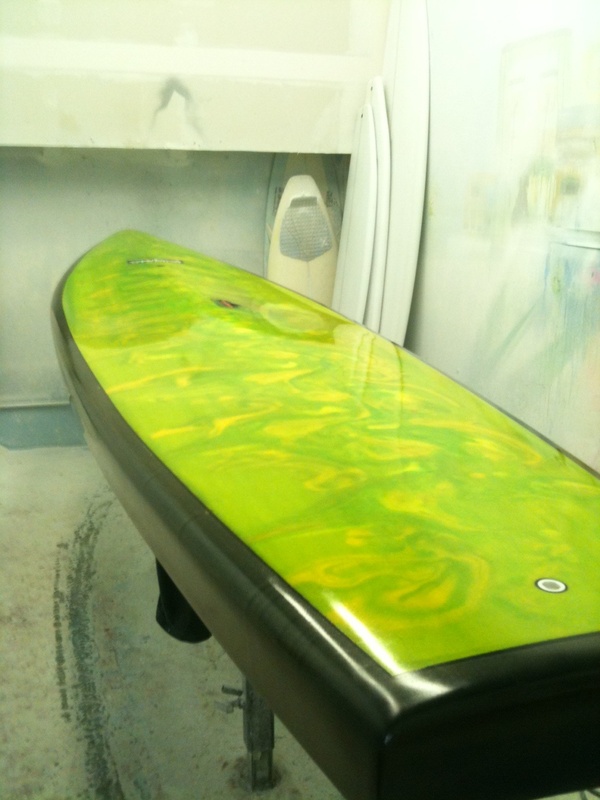 Stand Up Paddle Surfing: Stamps 12'6 Racer... a couple more shots... in my hands soon! Stamps 12'6 Racer... a couple more shots... in my hands soon! Crazy schedule right now with work, life and surf... so here's a couple more shots to keep you preoccupied. This one should be in my hands by the weekend.... and then there's the 8'4... wait 'til you see that one! 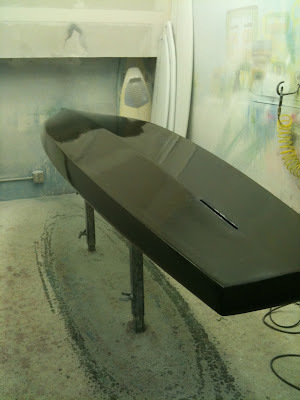 Mmmmm, I love the smell of carbon fiber in the sanding room- it smells like... victory. Every time I see this shot I think.... J-lo. Don't know why, I just do. Absolutely sick looking board John. You have to bring it east next year. What's J-Lo's width if you don't mind me asking? Thanks Bob! Built to scale for somebody who is definitely not your average 160lb stock class racer! Hey JD- J-Lo's width is straight up 30".... and, no, I don't mind you asking!